Drummer Kenny Hadley is Franklin Performing Arts Company’s go-to guy for live music. The company, now celebrating a milestone 25th anniversary, showcases professional musicians for all mainstage productions and presents an ambitious schedule of music series events at THE BLACK BOX, FPAC’s new home and performance venue. Hadley’s relationship with FPAC goes back to 1995 when the drummer played the debut production of ’Tis the Season!, FPAC’s original holiday musical. The company’s orchestra contractor since the mid-2000s, Hadley now hires for six FPAC productions annually. At THE BLACK BOX this season, Hadley has played performances ranging from The Addams Family musical and Cabaret Series dates to a reunion gig with the R and B band Soul Kitchen and a Jazz Series presentation with his own critically acclaimed Kenny Hadley Big Band. FPAC received a $220,000 grant from the Massachusetts Cultural Facilities Fund (MCFF) in 2015 to support capital improvements at THE BLACK BOX, including sound and lighting systems, second-floor accessibility and a marquee. The award, the largest granted by the MCFF to a MetroWest arts organization during that funding cycle, affirmed the venue’s potential for transformative and cultural impact in the region. “I think it’s a gem at a time when live music venues are falling by the wayside,” notes Hadley. “This place has come out and accomplished so much in so short a time. And we just keep tweaking to make it better and better.” The inaugural season at THE BLACK BOX doubled FPAC’s production schedule and launched Jazz, Cabaret, Children’s, Local Artists, New England Artists, and Summer Concert Series, establishing the venue as a suburban hub for great music. This second year has already welcomed a new Classical Series, which opened in November with violinist Irina Fainkichen and pianist Irina Kotlyar. Hadley sees only positives in FPAC’s commitment to live music as a defining element of company productions and as a key focus in the venue’s programming. “THE BLACK BOX was a game changer in terms of opportunity,” he says. “Things were swingin’ before THE BLACK BOX, but this kicks it up a notch in terms of what we can do.” Youth development in the arts is another core component of FPAC’s mission, and Hadley views THE BLACK BOX as influential to students’ growth as artists and audience members. Hadley formed his own big band at 23 and has grown that 16-piece juggernaut to showcase a renowned rotation of some 45 or 50 players – masterful musicians with performance ties to Big Band legends Woody Herman, Count Basie, Stan Kenton, Maynard Ferguson, Buddy Rich and more. 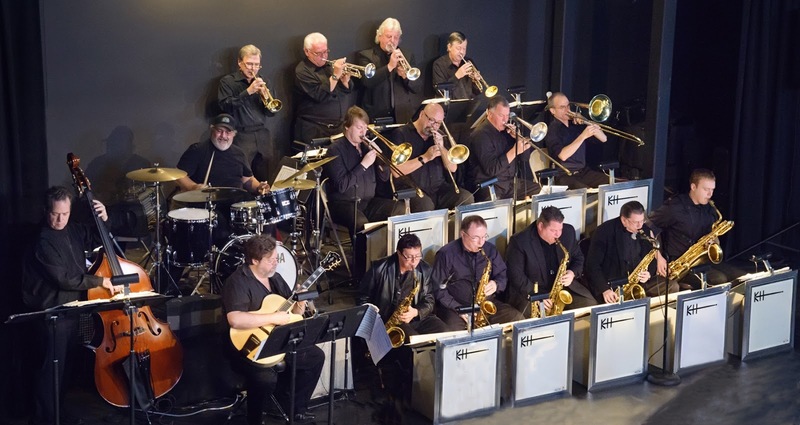 The Kenny Hadley Big Band will headline a jazz brunch at THE BLACK BOX on Sunday, March 6 at 11:30 a.m. For tickets to the Kenny Hadley Big Band Brunch or for more information about FPAC’s season and other presented events at THE BLACK BOX, visit www.THEBLACKBOXonline.com or call (508) 528-3370.